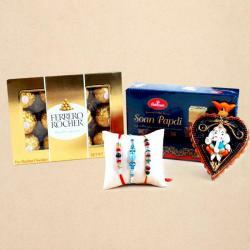 Gifts are a special way to make your brother feel special with this elegant OM Rakhi Hamper with Soan Papdi and Chocolate is a perfect hamper for special occasion of Raksha Bandhan. 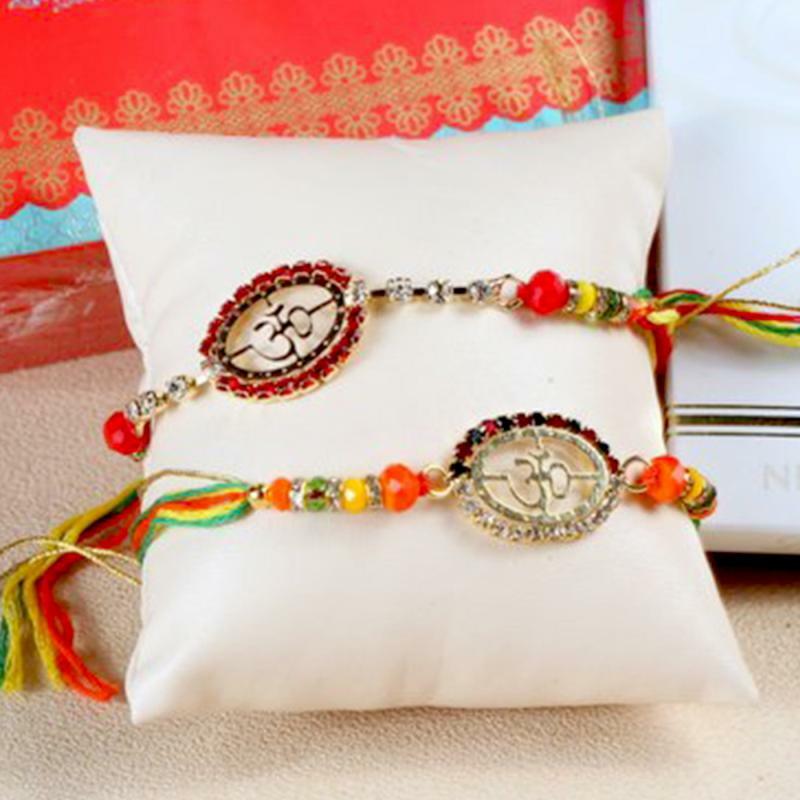 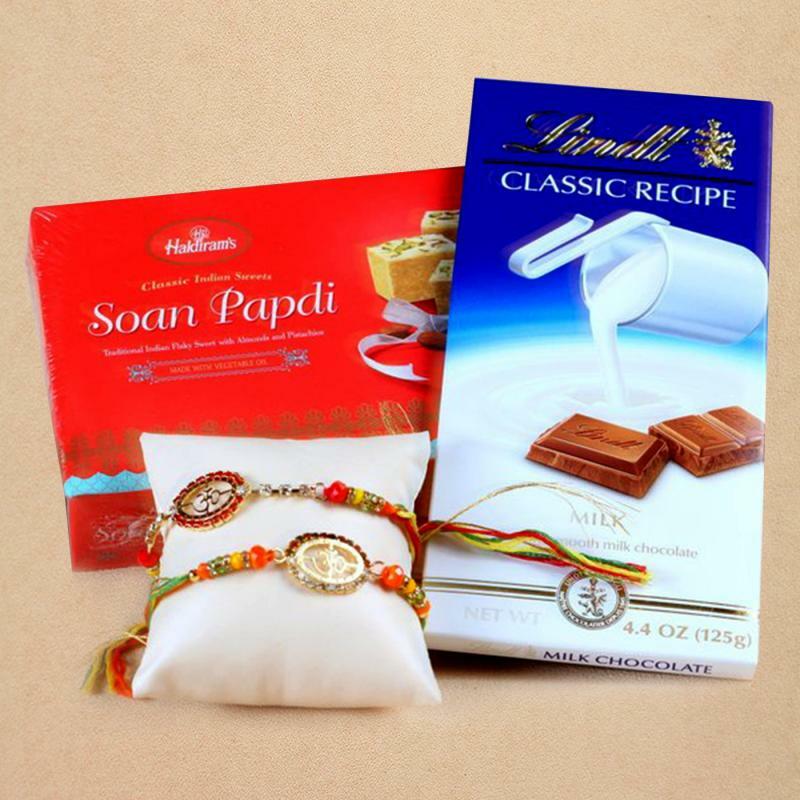 It contains two beautiful multicolor rakhis with an oval dial featuring OM written on it, Lindt Excellence Milk Chocolate bar and Haldirams Soan Papdi box. 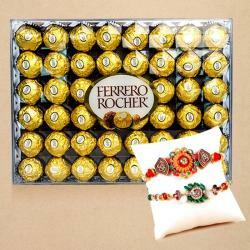 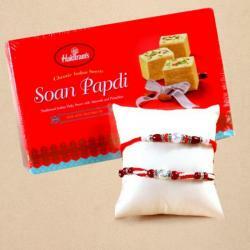 Product Details: Set of 2 Om Rakhis with Lindt Milk Chocolate and 250 Gms Haldirams Soan papdi.